This free hanging translucent print of a broken glass door is lit from behind by one 8 foot long florescent tube. 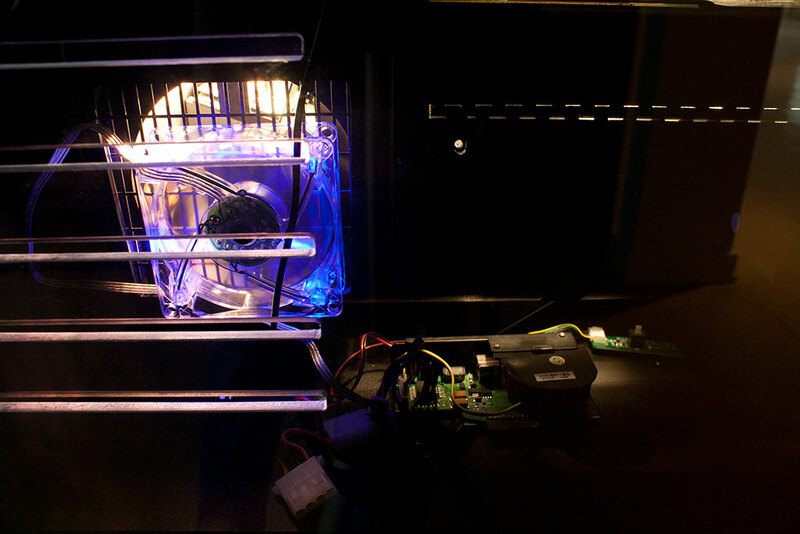 The glass’s center of impact is lit by one small led diffusion screen (from a digital photo frame)—its circuit board hanging below. 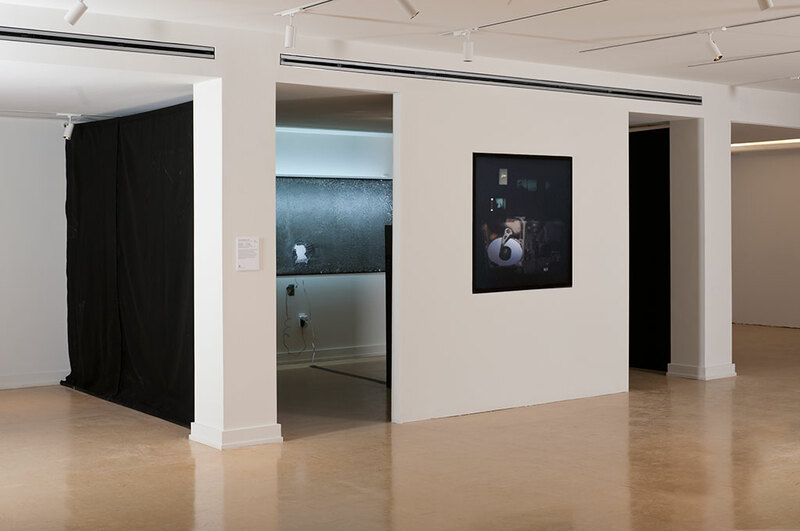 The original plate of glass was meticulously scanned in 10 inch sections, digitally stitched and enlarged to create a larger than life, hyper-realistically uncanny photograph. 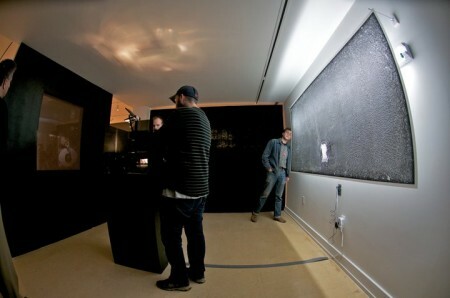 On the back wall of the small room is the 8 foot backlit image of shattered glass. 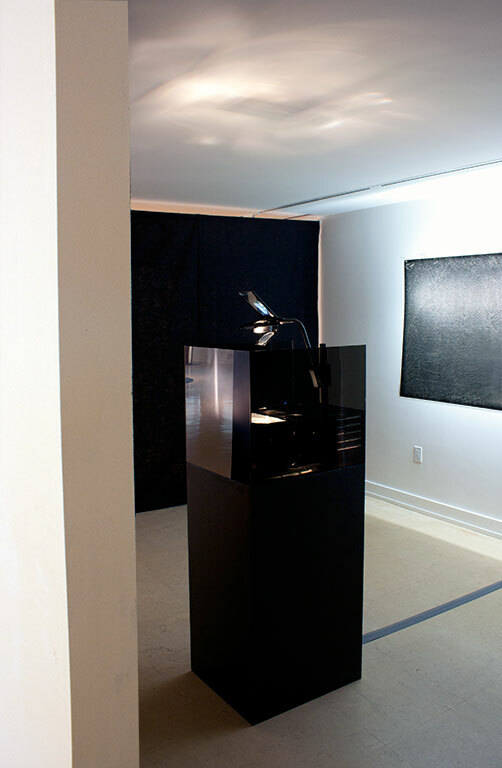 In the center of this room sits an overhead projector filled with small electronic components, slides, videos, and a broken hard drive that create a vivid projection with a variety of moving parts. This projection can be seen from the exterior of the room. 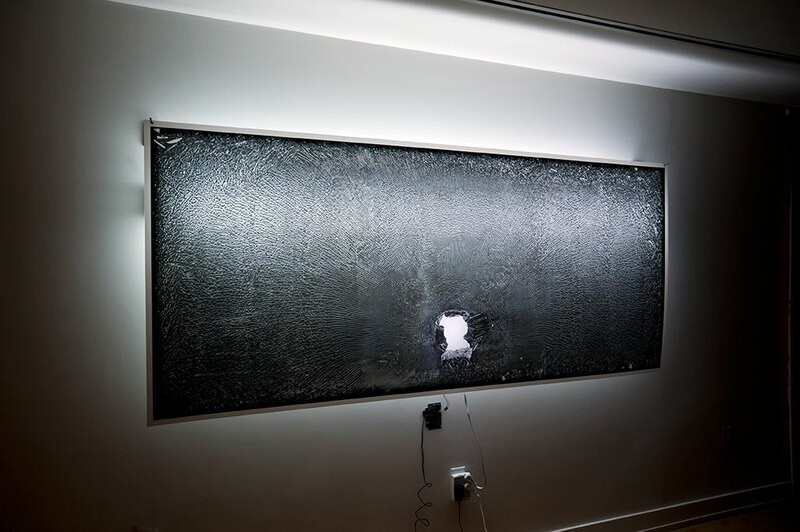 Since it is back-projected onto smoked black acrylic it gives the illusion that an incredibly detailed, yet animated photograph has been hung on the wall. 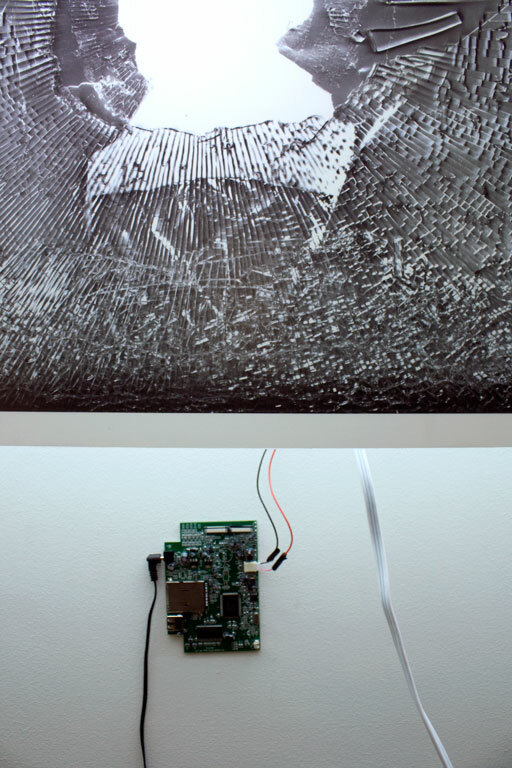 A collage of objects, rear projected onto black acrylic panel, achieves a hauntingly high definition image of technology. 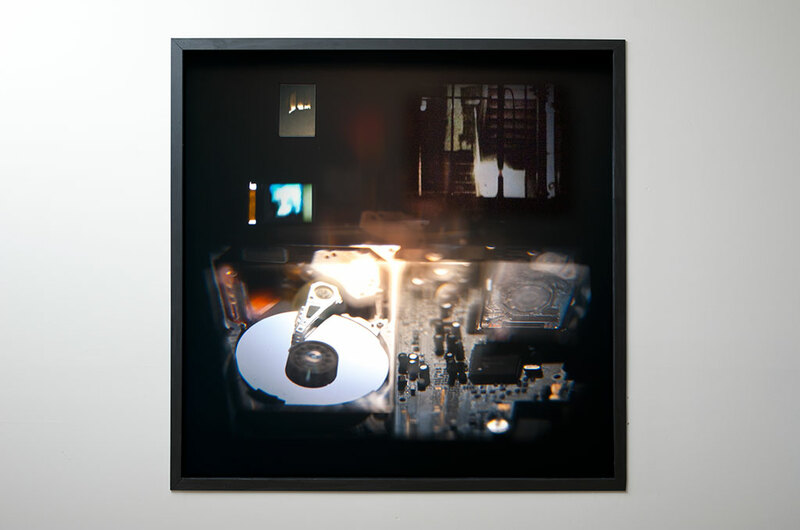 Within this image, dissected video screens show digital slideshows and videos of windows taken at night, circuit boards mimic urban architecture, and a broken yet still moving hard-drive incessantly ticks. 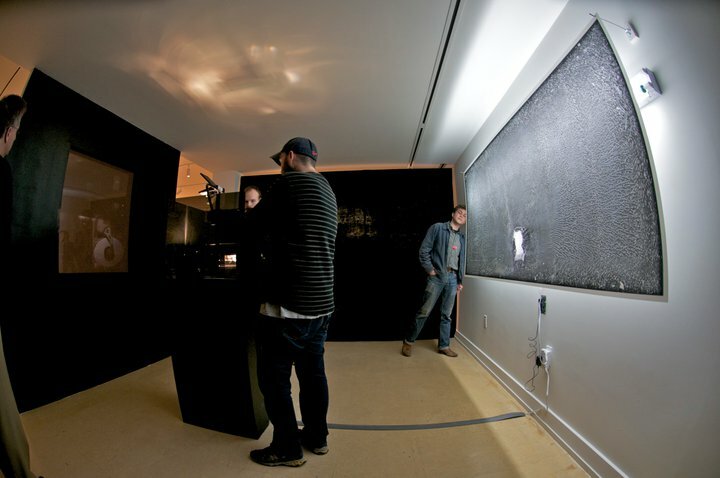 The video screens and digital photo frames have been stripped of various layers to allow them to be projected. 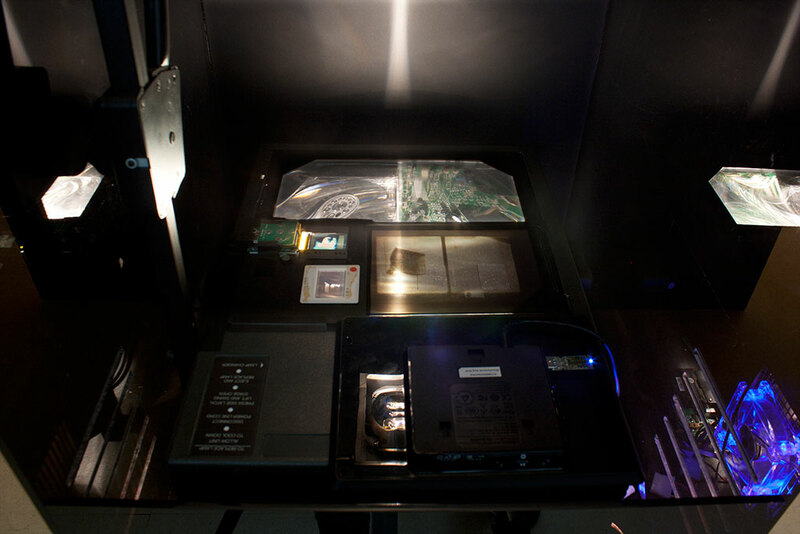 The hard-drives and circuit boards that appear in the projection lay within the bed of the projector and are being reflected in place of the projector’s mirror.